Anyone who has been paying attention to the buzz around the latest Star Wars movies will not have escaped the growth in popularity of the Porgs. These lovable creatures live on the planet Luke has been hiding out on and have quickly become a fan favorite. 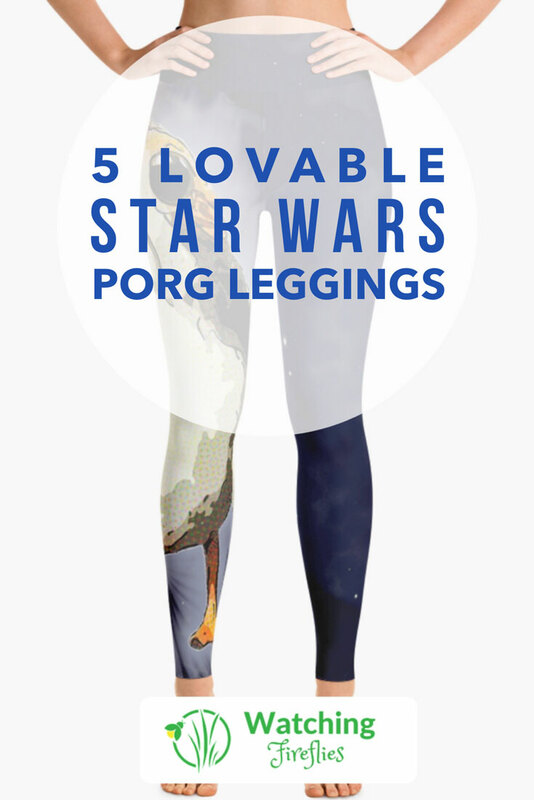 Following in our series of things that are only available because of the Internet we now bring you 5 different pairs of Porg design leggings. I actually like this design of leggings. It features a large Porg running down the side of one leg with a blue background for the rest of the design. 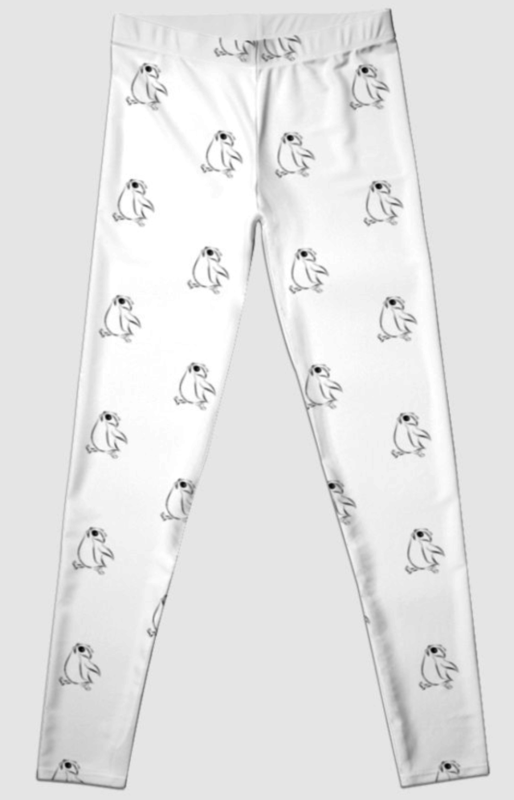 You can get these leggings from Dork Side Productions. 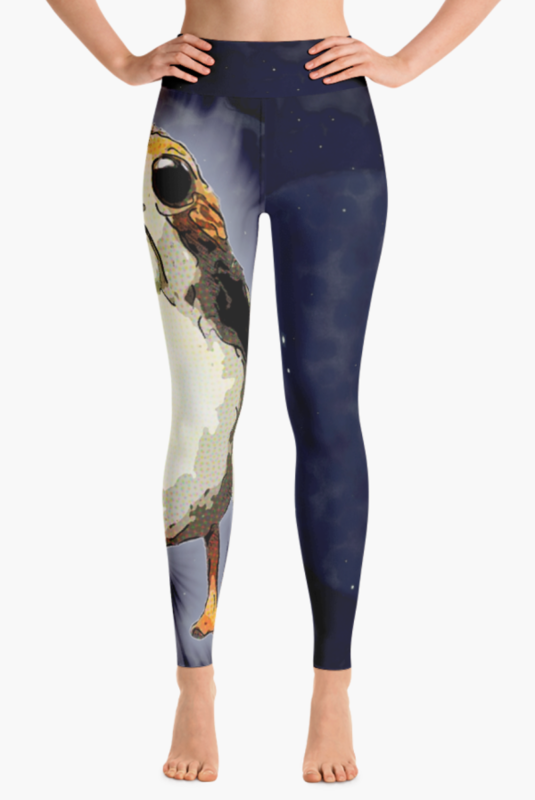 These Porg leggings feature a large Porg down one leg set against a deep orange sunset background. The Porg has an oil paint style to it. You can get these leggings from Society6. These leggings feature a very simple Porg design. A cute sketch of a Porg running and is featured as a pattern on the white material of the leggings. You can get these leggings from Redbubble. 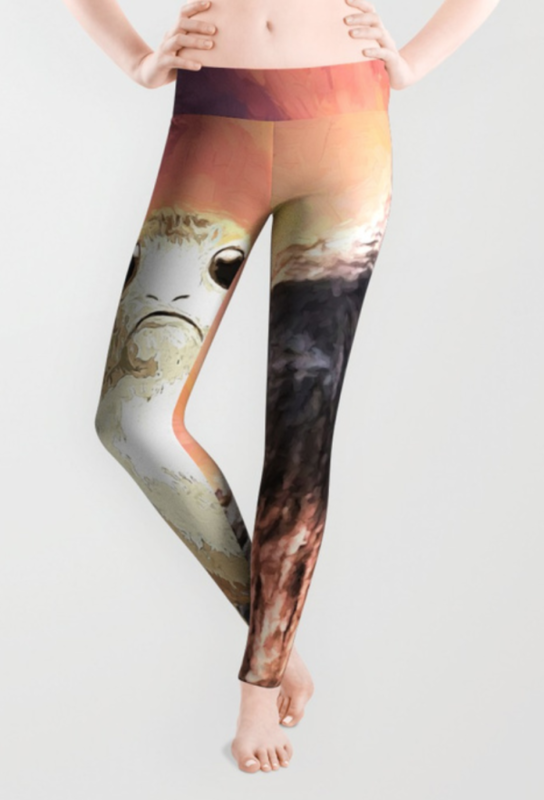 If you are brave enough maybe you should opt for the Porg overload leggings. These leggings are just covered in Porgs with now space to spare.